Even the most spacious rental has its shortcomings. For starters, there is never enough closet space. Few rentals have more than two bedrooms, so if you want a guest room or have a child or two or three, you’re going to be crowded. The joy of summer evenings on your patio or a barbecue and some good friends aren’t available for most renters. Some renters can’t have pets, and some renters are limited in home decor choices with either a requirement for carpet or an inflexible palette for paint. But those reasons don’t even come close to what investors and industry experts call the biggest reason not to rent. 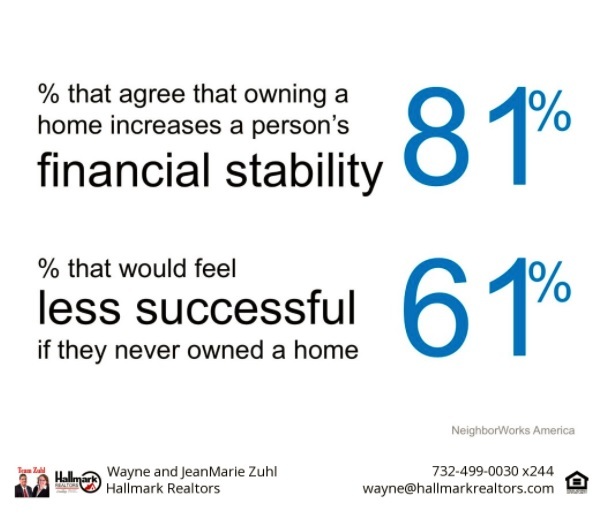 81 percent agree that owning a home increases a person’s financial stability and 61% say that they would feel less successful if they never owned a home. 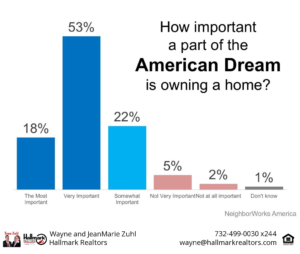 Fifty three percent of all people surveyed indicated that owning a home is part of the way that they define the American Dream. Give us a call and take the first step toward home ownership! 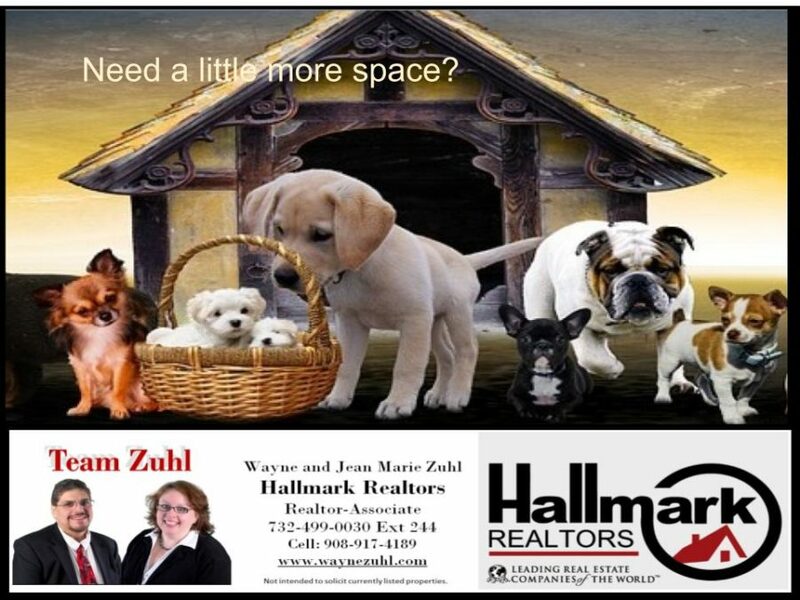 Next Team Zuhl and Samsel & Associates - Perfect Together!